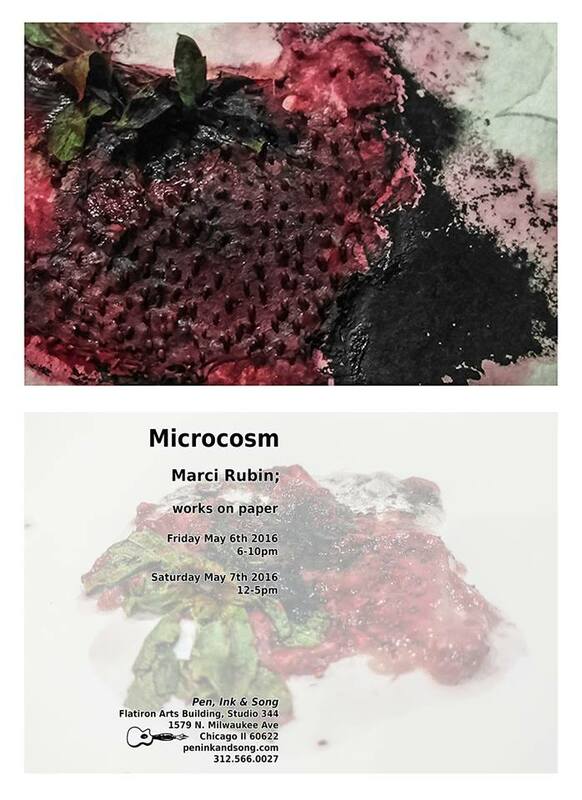 Author ReesPosted on April 20, 2016 Categories UncategorizedLeave a comment on First Friday at the Flat Iron, Marci Rubin Exhibiting at Pen, Ink and Song. We all pretend it doesn’t but size matters. This isn’t about anatomy; it is about space. Who has the room to hang a gigantic painting or photograph? Most of us live in fairly small places and we need small art. To this end Mapanare.us and StudioLab present “Size Matters.” The show opens Friday, February 26 and runs until Sunday February 28 at the Flatiron Building (1579 N. Milwaukee Ave. #220, Chicago). An online version of the show runs from Monday, February 29 until March 16, 2016 via ConstantlyConsumingCulture.com. The opening reception takes place Friday, February 26 from 6 p.m. until everyone wanders off. All the art in this show is the size of a legal U.S. postcard. Pieces are rectangular, at least 3-1/2 inches high by 5 inches long and no more than 4-1/4 inches high by 6 inches long. We are making some allowances for pieces that are three dimensional. Art comes from painters, photographers, video and mixed-media artists. Artists come from all over the USA (and one from Mexico). At the bottom of the release are links to artist websites. Artists are charged no fees and get the total amount of any piece sold in person or online (processing fees for credit cards and shipping are added to the cost). Artists set to appear (we may add some); Gabriel Martinez (Philadelphia), John Airo (Chicago), Renee McGinnis (Chicago),Samantha Eden Oakey (Miami), Gretchen Hasse (Chicago), Kimberly Fitzgerald (San Diego), Elyse Martin (Chicago), Brett Manning (Indiana), Joe Wallace (Chicago), Manzana Oscura (Mexico City) Areli Leon (Chicago) and Tim Larson (Chicago).